Joining the Refuse To Be A Victim® Instructing team is easy! Teach your community how to better protect themselves, their family, and their friends. Women and men interested in becoming Refuse To Be A Victim® instructors must attend a one- to two-day Instructor Development Workshop (IDW) or complete the Online Instructor Training course. 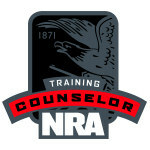 After completing an Instructor Development Workshop and receiving the Regional Counselor's endorsement, the required paperwork and fees are submitted to NRA and instructor credentials are issued. 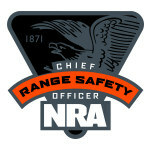 Refuse To Be A Victim® uses www.nrainstructors.org for all Instructor Development Workshop schedules and information. The seminar includes classroom instruction on a variety of crime prevention strategies, from criminal psychology to automobile crimes to cyber crime. Seminars can vary in length, and may be modified to suit the needs of a particular audience. This is not a firearms instruction course, and does not include instruction in physical combat or self-defense. Seminars teach about common weaknesses that criminals may take advantage of, and teaches a variety of corrective measures that are practical, inexpensive, and easy to follow. The NRA Refuse To Be A Victim® seminar covers topics that pertain to both men and women. The information covered is appropriate for young adults, women, the disabled, parents, senior citizens etc. In addition, the Refuse To Be A Victim® program materials also include special teaching modules for parents which discusses tips for children ages pre-school to college, the handicapped and more. Women-only seminars are also available.